Its story begins in 1942. 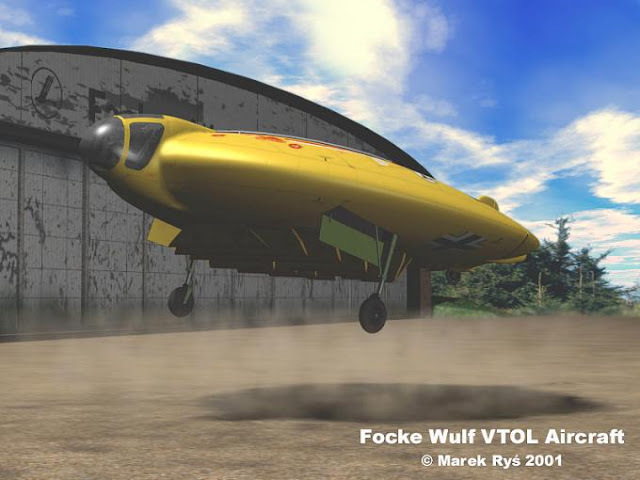 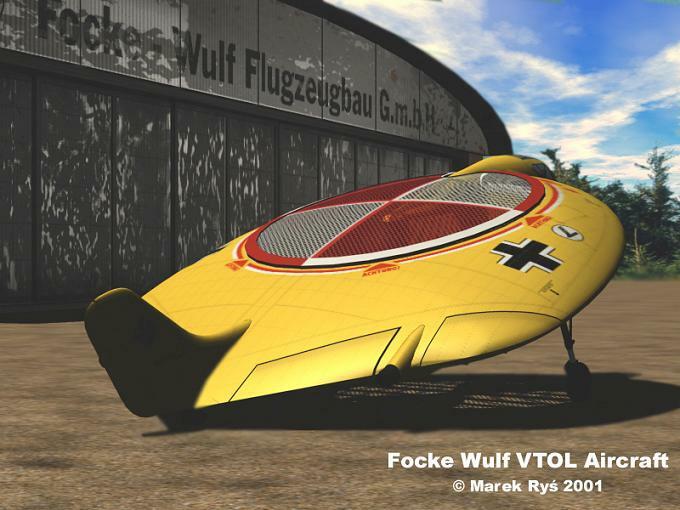 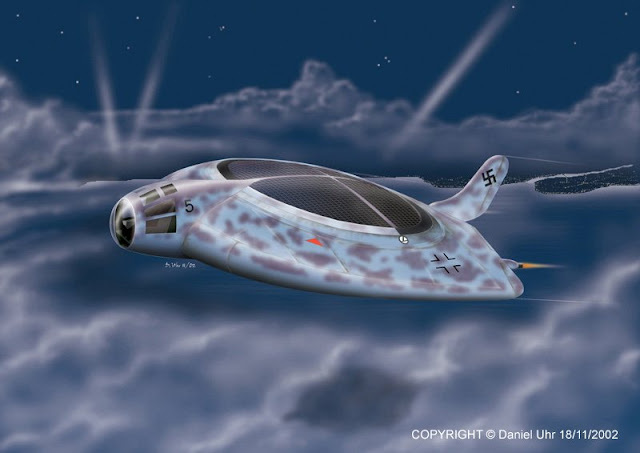 German aeronautical research records for that year include a report by the Aerodynamic Testing Center in Göttingen, entitled "The Flying Wing". 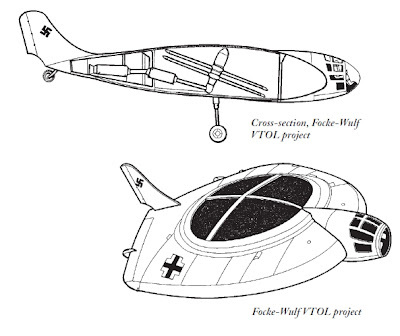 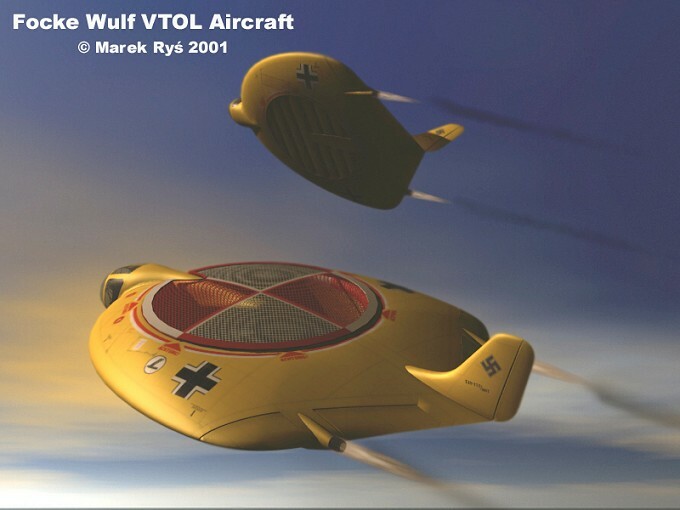 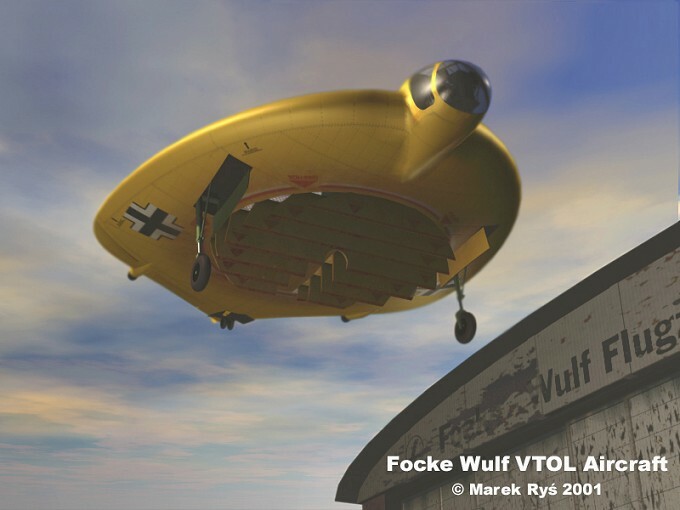 In this report, authors E. Von Holst, D. Küchermann and K. Solf examined the possibility of conceiving an aircraft that would combine the propulsion and lifting bodies, based on the flight of dragonflies as a source of inspiration. 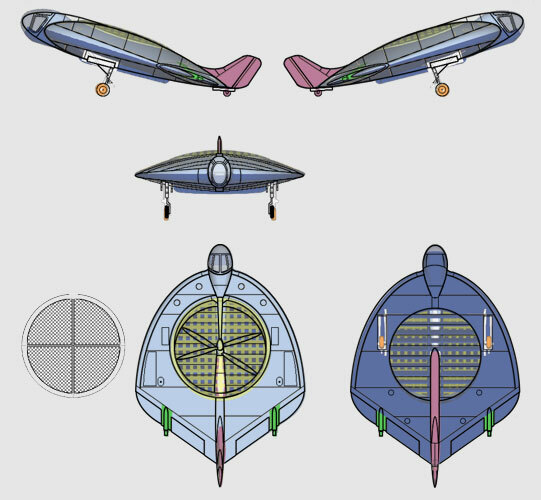 The original idea called for a powerful, fuselage-mounted propulsion engine to power two wide-diameter, inverse-rotation propellers. The lightweight and simple turboprop engine had not yet been developed.As Carlos Simó correctly points out in the Encyclopedia Más Allá de los Ovnis, such a vertical take-off device could revolutionize German aeronautics.